The President of the National Assembly of the People’s Power Esteban Lazo and the Head of the International Department of the Chinese Communist Party, Song Tao agreed on Monday in Beijing on the high level of mutual trust between both countries. According to Prensa Latina News Agency, both sides highlighted “the friendship and strong ties of cooperation” that unites both Parliaments, Parties and Governments which, “is the result of a firm political commitment achieved in levels of mutual trust”. 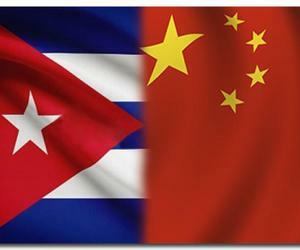 The Chinese Party leader also told the member of the Political Bureau of the Cuban Communist Party on the importance that China concedes its relations with Havana. He stressed the commitment and disposition of his government, Party and Chinese people in cooperating with the Caribbean island and achieve the consensus reached between Presidents Xi Jinping and Raul Castro during the Head of State of the Asian nation to Cuba in 2014. On his part, Lazo highlighted the importance of continuing to strengthen mutual cooperation and reiterated the desire to exchange experiences and learn from one another in the construction of socialism and the processes of reform and development underway in both countries. The Cuban Parliamentarian referred to the advances in the updating process of the island’s economic model and denounced the reinforcement of the US economic, commercial and financial blockade against Cuba. He also condemned the recent position of the US administration of President Donald Trump towards Cuba and added that despite Washington’s new strategy, the Cuban government and people reaffirm its decision to continue its construction of Socialism.